It’s been eight years since the last Harry Potter novel was released, but now they’re all being released in a completely new way. 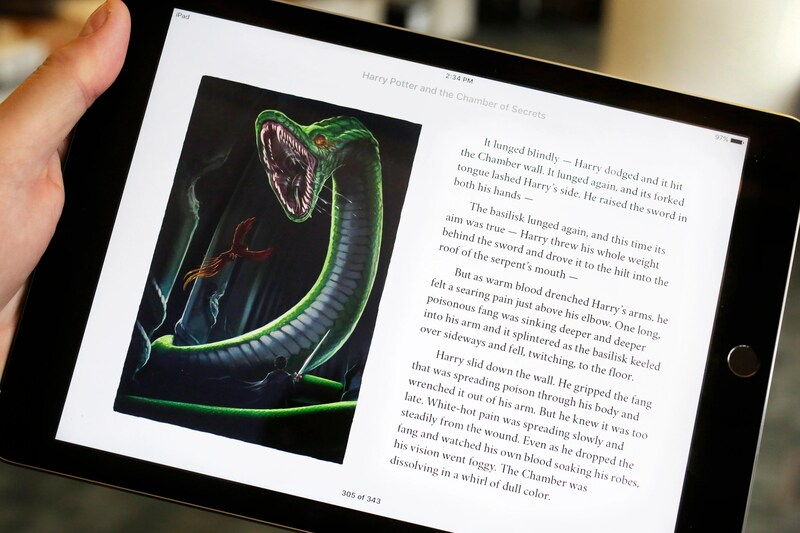 Harry Potter e-books are now available, and according to The Associated Press, Apple has exclusive animated versions. Enhanced e-book versions of the novels, exclusively for Apple products, includes more than 200 illustrations, many of which are animated or interactive. Other, non-animated versions of the e-books are available through author J.K. Rowling’s Pottermore web site. Included in the enhanced e-books are author annotations similar to the ones Rowling’s written and included on her Pottermore web site, but there aren’t as many in the e-books as there are on Pottermore. The enhanced e-books also don’t include audio. However, the illustrations are in full color, and the interactive illustrations are hidden; readers have to figure out what’s interactive for themselves. One example: during a scene at a meal, you can swipe to see all the food on other parts of the table. The e-books cost $10 apiece, or $70 for the whole series. As a kid, I read the paperback versions, but when I read the series to my eventual children, it certainly seems like the e-books are the version my kids will get to know. When Amazon first created the Kindle, it was meant to be used for reading e-books. Then it became a tablet. Now it might become a cash register. According to The Wall Street Journal, Amazon — the creator of the Kindle — is working with brick-and-mortar stores and retailers to create a checkout system that uses Kindle tablets. If it’s a go, stores would use the new system as early as this summer. More and more retailers are using handheld devices for checkouts, such as food trucks, Apple, and even Nordstrom. Amazon officials say retailers would receive Kindle tablets and credit card readers, or receive services from Amazon, such as data analysis. The plan is still in the works. Nothing is officially set in stone. For now, Amazon is looking to start at small stores, since larger chains generally already use complex, expensive checkout systems. The real benefit of checking out with a Kindle would be how fast and easy it is to do. But it’s clear than an underlying benefit for Amazon is all the exposure the company itself would get; plus it’s a pretty sneaky way of bringing the Kindle — available online only — into stores. For a year-and-a-half, Apple has been claiming its innocence in an e-book price fixing case filed by the Justice Department against the tech company and five other book publishers. Though the other publishers settled a while ago, restrictions are just now beginning for Apple. The Justice Department charged the publishers and Apple in April 2012 for illegally working together to raise the price of e-books as a way to curb Amazon’s success with e-book sales. Apple was the only company that didn’t settle and instead fought the case in a trial this summer. Ultimately, a federal judge in Manhattan ruled against the company. According to The New York Times, Apple cannot enter into agreements with the five other publishers that “restricts, limits or impedes Apple’s ability to set, alter or reduce the retail price of any e-book,” under the new restrictions. The company is also prohibited from speaking with one publisher about its contract with another publisher. A “monitor” will keep its eyes on the company ,evaluating it and making sure all antitrust laws are followed. Apple plans to appeal the case. Though the other companies profess their innocence, why is Apple the only one to fight so hard in court? That’s likely because Apple is the only one with the money to afford it. A publishing monopoly could soon be headed this way. According to New York Daily News, two of the world’s largest publishers, Random House and Penguin, are discussing a possible merger. Publishing 10,000 book a year, Random House is clearly the larger of the two publishing houses. 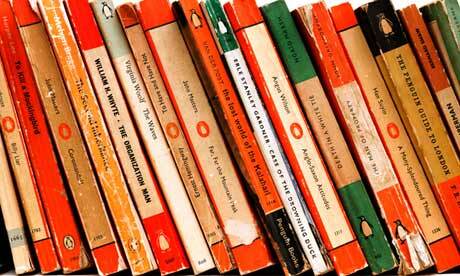 Penguin only publishes about 4,000 books a year. Experts say this would fill Penguin’s parent company’s need to grow and expand. However, there’s also a possibility that if acquired, Penguin would be sold off by Random House’s parent company. Nothing is official yet, but the talks have writers concerned about the future of the industry. After all, Amazon and and Apple have become big book monopolies in their own right, pushing the industry in a digital direction. Who knows what adding another large company to the mix could mean for publishers and writers? Spokespeople from both companies say nothing is official yet, and just because they’re talking doesn’t necessarily mean anything will come of it. It’s been months since the e-book pricing lawsuit began. Now that some parties have reached a settlement agreement, people are starting to receive emails from Amazon and Barnes & Noble about receiving e-book refunds. According to The Telegraph, Amazon was first to send out the emails, explaining that those who purchased e-books that appeared on The New York Times Bestseller List between April 2010 and May 2012 from the web site would receive $1.32 per book. Non-bestsellers would be worth 30 cents in refunds. The refunds aren’t expected to come in until early 2013. Although we are required to notify you now of the settlements, there is nothing you need to do to receive the credits as you will receive them automatically in the form of an electronic gift certificate sent via email. Once the settlements’ claim period ends, the Attorneys General will calculate the amount of your credits. If the Court gives final approval to the settlements, we expect to be able to send you your gift certificate in the first half of 2013. Hachette, HarperCollins, and Simon & Schuster will be compensating for the refunds, since they agreed to the settlement. Penguin Group, Macmillan, and Apple will be taken to court. As Amazon continues its reign as online retail powerhouse, Wal-Mart will no longer sell the Amazon Kindle in its stores. According to The New York Times, Wal-Mart will sell what’s left of the Kindles with no plans to re-stock once they run out. Kindles will also be pulled from walmart.com and Sam’s Club. Wal-Mart will, however, continue to sell similar e-readers by other companies, including Apple, Google, Barnes & Noble, and Samsung. Wal-Mart did not give a reason for the drop, but analysts say it’s obvious. Amazon has become more of a competitor than companion. Experts say when people shop in stores like Wal-Mart and see the Kindle, it encourages them to go home and purchase the Kindle online along with books, games, and movies from Amazon.com, taking Wal-Mart’s business elsewhere. Analysts also say the drop won’t affect business at Wal-Mart very much, as Stephanie Clifford and Julie Bosman explain. 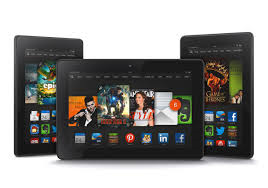 Moreover, the Kindle line, and most tablets, are only marginally profitable for retailers, said Sarah Rotman Epps, an analyst at Forrester Research. Wal-Mart’s not the first store to drop Amazon Kindle products. In May, Target also dropped Amazon products from its stores.